Harry Potter and the Chamber of Secrets is respectively out of date and non-consistent with the rest of the series. When Alfonso Quaron took over the helmet in the Prisoner of Azkaban he gave the series what they so desperately needed: a gritty, realistic atmosphere in an elsewhere magical fantasyworld. I took Alfonso's approach to CoS, and touched upon the movie with completely new sfx, music, effects, color grading and countless other updates. 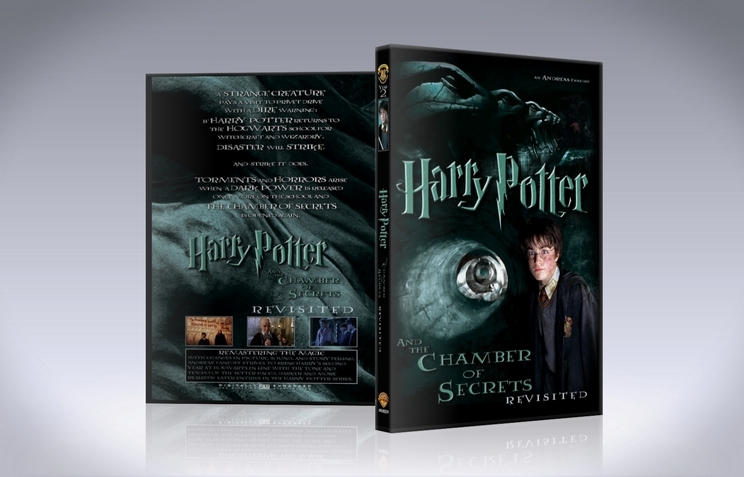 As a continuation to Sorcerer's Stone, the Chamber of Secrets has been remade into a completely new experience with; new music, new color grading, new visual and audio effects, tighter editing and thousands of other updates and changes. This has turned the tone of Chamber of Secrets - just like Sorcerer's - into a narrative and cohesive story that fits much better within the rest of the franchise. As explained above, I wanted to make the Chamber of Secrets - just like my previous edit, Sorcerer's Stone Revisited - fit with a narrative and tone that fit the rest of the franchise much better. - ... and my entire "fanbase", if to call it such. 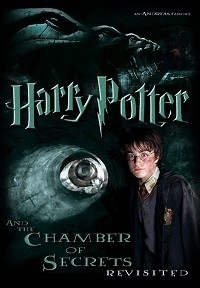 Every single one following the thread has given amazing ideas and feedback, and made it possible for me to create - what I think - is the best way to now watch the Chamber of Secrets. - The mind is easier to shock if it is not prepared for what it is about to see. This was an improvement over the last edit for several reasons. First Chamber of Secrets is just a much better film than Philosopher's was. Not only are the kid actors on a whole much better, but Chris Columbus’ directing isn’t as limp and boring. Second is that the editing for this edit is just much better than it was for the previous one. Most of my complaints from the previous edit are gone. There are still scenes cut that shouldn’t have been because they make later scenes feel as if they happen too fast or for no reason, getting the letters at the burrow is necessary for them to go to Dragon Alley because now we have no idea why they’re going there, and cutting out Lockheart deboning Harry’s arm makes the editing too obvious. However, now all these problems are contained to the first act and after the first petrification, there are no editing foibles except for one and before continuing on to what the film does well I have to get this out of the way. On my first viewing not knowing about this edit before watching it, not revealing it was Ginny who was taken into the Chamber until Harry’s in it didn’t work because knowing it’s Ginny whose been taking really adds to the urgency. However, on a subsequent rewatch that change doesn’t bother me anymore. Now to go onto some more of the positives. The film feels more confident in its new tone than the first one did. The only time a musical choice feels jarring is in the very beginning of the film when the opening titles end and Hedwig starts screeching, and when Riddle explodes, because the original can be heard underneath it. I also thought adding music from films other than Harry Potter worked really well. I enjoyed hearing the musical track that you used during the 3rd petrification and when Harry figures out what the monster is. Does anyone know what that song is and where it’s from because I really love that track? Most of the cuts you make I have to compliment. Removing the hand sequence from Borgin and Burkes and cutting right to Harry in Nockturn Allery is something the original should have done. I’m also glad that most of the deleted scenes were added into the film. I’m glad to see the flashback from the previous movie back into this one. This time it’s used sparingly, only twice, proving that in this case less really is more. Also, the ending is just too jarring. Yeah, I know the original ending is too cheesy, but so is the ending for Prisoner. Also, it now feels like a tease or a trailer for the next movie rather than an actual ending. However, it just seems that with the goal of this edit it was really impossible to have the ending work all that well. Overall I’d recommend this edit because it’s despite some of my gripes it was well done. The second installment in the Harry Potter: Revisited saga, HP and the Chamber of Secrets: Revisited succeeds in taking Chris Columbus' view of the Wizarding World to a whole new perspective. As per Sorcerer's Stone: Revisited, the visual editing is seamless, the A/V quality is spot on (and at times equivalent to that of an actual Blu-ray, the reworked narrative is rock solid, and the new score certainly helps to breathe new life to its respective scenes. And as far as I can tell, the oversaturated pinkishness of SS was taken up to 11 with this film, and this has thankfully been taken care of thanks to Andreas' fantastic colour correcting. One teensy little qualm — the new score for when Harry stabs Tom Riddle's diary with the Basilisk fang is a little too loud to my ears, but I guess this is understandable since Andreas wanted to hide John Williams' original score as much as possible. As I stated in my SS: Revisited review, if you Potterheads are looking for a darker, more mature take on the Columbus era, this beautifully-crafted fanedit is for you! Next to Goblet of Fire this was my least favorite movie in the Harry Potter series. This edit brought new life to the whole movie! The pacing was so much better, and the tone with the music changes really brought this movie together. I liked this edit more than his edit of the Sorcerors Stone. I'm excited for more. Same as the previous edit Andreas brings the characters to feel more realistic rather than over the top. Especially with Draco. I think the whole restructuring of Lockhart was well done as well. First off, I'd like to say that this is a great replacement for the original movie. Andreas has masterfully rescored and regraded this movie masterfully making it fit in much more with the rest of the series. Although not staying 100% faithful to the book, making it a surprisingly darker movie. Although this is just my opinion, I feel that sometimes Andreas went a little bit overboard with the scoring, sometimes the music is trying to make you more emotionally involved when you really shouldn't be, I'm not saying that the scoring was done poorly however, it was just sometimes a little bit too much. Overall, Andreas is an amazing editor and deserves much credit for turning a dull children's movie into a worthy installation of the Harry Potter franchise. This fanedit was a fantastic experience. Firstly, Andreas worked wonders with the score, which has reshaped this movie into the suspenseful, thrilling experience it could have been. Melancholy, dread, danger: all expertly created now in places that they did not exist before. Secondly, the recoloration work Andreas has done really has changed the feel of this film: he's come as close as I think possible to making this film look like the films that follow it. Lastly, his judicious cuts make for a much improved narrative experience, adding mystery where it should have been, removing exposition where it wasn't needed, and trimming unnecessary humor so that what was left was actually funny. I thought the abbreviated ending is perfect. Wham, bam, done. My only three, and very minor, suggestions would have been 1) trimming Dobby jumping up and down on the bed on his first appearance, 2) making it slightly clearer that Harry is serving detention as a result of the Whomping Willow/ flying car incident, and 3) leaving the Hagrid/ Riddle flashback before we see Aragog fleeing the box. #1 and #3 I think would have added a dash more mystery to each of their respective scenes, by removing a little whimsy from Dobby, and by casting a bit mored doubt on what exactly Hagrid was up to. #2 just felt slightly disconnected, partly I think due to the detention being a few scenes removed from the car crash and Snape's berating. Whether or not that disconnect is worth the much improved pace in this case, I can't say. What I can say, again, is well done, Andreas. I'm planning on having a backyard double screening of these sometime this summer for a few friends, so they too can see what could have/ should have been. As far as I'm concerned now, these ARE how the Harry Potter series begins.